If the dashing orange color does not knock you off your feet … well, this is a beautiful, hot drone by all measures. 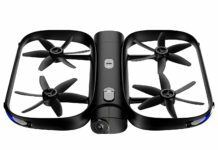 It is the Autel Robotics X-Star Premium drone, made for amateur photographers and hobbyist pilots. 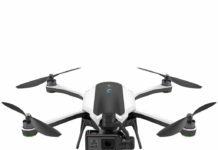 It is an affordable drone with premium features, almost similar to the expensive drones such as the Phantom series from DJI. This drone is a relatively new entrant in the market, having debuted in 2016. However, it has already won the hearts of many enthusiasts due to its advanced features and high-performance capabilities. The X-Star Premium is an upgraded version of the company’s earlier X-Star model. The company has incorporated new and advanced features in this version to ensure that it delivers to the expectations of the user. When you get to use it, you will see why many online reviews say it is among the best consumer drones in the market. 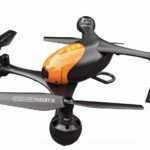 The Autel Robotics X-Star Premium is an orange, medium-sized drone. It is relatively large at 50 x 50 x 22 cm and weighs 3.2 pounds (1.5 kg), without its hard carry case. The weight makes it less convenient for traveling although it comes with a robust hard case that makes portability easier. The size and the weight have some benefits though. The drone is able to perform excellently even in windy conditions. Even if the wind may move it slightly, it is able to re-adjust itself to a steady position within no time. The exterior parts of this drone are sturdy and durable – made of hard plastic that does not crack. It can withstand some abuse. It is easy to fly since no assembly is required – you get to fly this drone straight out of the box. Even if you have never piloted a drone before, you will find the learning curve quite short for this one. 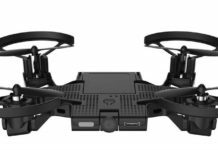 Also included in the package is a remote controller, a charging cable (for both drone and controller), a 64GB microSD card, a heavy-duty battery, a charger, spare propellers and other small parts. Being a camera drone, the X-Star Premium does not disappoint. It has been fitted with a 4K ultraHD camera with a 108-degree field of view. It is also able to shoot video at different resolutions such as 2.7K at 60 fps, 1080p at 120 fps and 720p at 240 fps. These options allow you to customize your video shooting. For stills, it is able to capture 12MP photos with awesome clarity of detail. The camera has been designed with a 3-axis gimbal stabilizer that enables you to capture clear and stable videos and photos even in minor winds. The quality of the photo and videos by this camera is not compromised by the conditions since they come out clear all the time. For the storage of your media, the drone is sold with a 64 GB microSD card. This quadcopter comes with a remote controller that is not only easy to operate, but one that is classic in design and indeed looks stylish. The controller stays connected to the drone for up to a range of 2000 meters. As well as having a stand for your smartphone, the controller is further equipped with an LCD display screen, which displays all the important details about the flight. The automated take-off and landing functions on the controller makes it simple to fly the drone. Besides, its ergonomic design makes it feel very comfortable on your hands. For better live streaming, connect it to your smartphone, which has a bigger screen. The controller’s joysticks are easy to manipulate and the keys are very simple to operate. This alone makes this drone a good choice for people who are new to flying drones. To start using the remote controller, you shall have to download the Starlink Autel app, which is compatible with iOS and Android 4.2 or later. This sleek app operates without hiccups. Follow Me – This mode allows the drone to follow you wherever you go, just as its name suggests. Orbit Me – This mode allows the drone to orbit around the person operating the remote controller, taking videos from all angles. Beginner mode – This one has a geo-fence feature that limits the speed and the range of the drone flight. That way, you do not risk losing your drone. 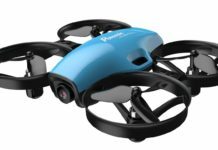 Whether you have a long experience with drones or you are just a beginner, this drone offers something for everyone. This drone is sold with an intelligent, 4900mAh 14.8V Lithium Polymer battery. This battery charges fully in just an hour. The charger is innovatively designed to charge the drone and the controller at the same time. The charger has a cooling fan that prevents overheating. But there is something to note here. This charger will take an hour to fully charge the battery irrespective of how much charge the battery had before you plugged it in. The Autel Robotics X-Star Premium has a flight time of up to 25 minutes, which is quite an impressive time. There are alerts to notify you once the battery drains to a certain level. This drone can fly at a maximum speed of 58km/h. With a maximum transmission range of about 1.98 km, you can see that your drone will always be under your control. 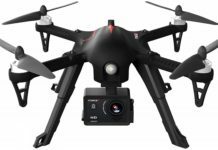 The X-Star Premium also comes with the Starpoint Positioning System, a technology that has been incorporated to help track the position of the drone, even when there is no GPS signal. It also has dual GLONASS and GPS system. GLONASS is going to keep track of the drone even when there is no GPS signal. With signal taken care of, you can be able to concentrate on taking videos and pictures. I bought this drone back when it had just come out in 2016 and two years later, I still use it. Its performance is still as good as when I bought it. 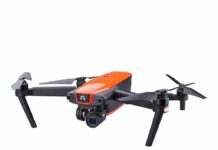 I would recommend this drone for anyone. Julia G.
I love flying this drone. I love the flight time, which is slightly more than 20 minutes. Now, considering that I have another drone, which can only do 7 minutes of flight, you can see why I am thrilled about 20 minutes of flight time. Alex K.
As a beginner drone pilot, I was looking for a drone that I would use to cut my teeth in the hobby and continue flying in the future. Straight out of the box, I was able to fly this drone for the very first time with a few mistakes here and there. I don’t think I will upgrade anytime soon. Anthony S.
I love everything about this drone from the color to the flight time and range. The camera is awesome and helps me shoot incredibly stunning photos and videos of my family when we are having fun on the beach. 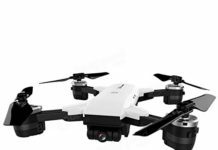 Lorna M.
Who Should Buy The Autel Robotics X-Star Premium Drone? 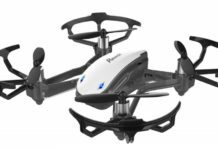 The Autel Robotics X-Star Premium drone is a good choice for anyone who wants to own a great drone at a reasonable cost. It is also a good choice for a beginner pilot as he/she learns the ropes of aerial photography. This drone is also a good option for a professional photographer, as backup perhaps, since it takes such good videos and photographs. 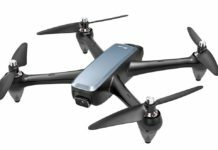 The flight time is also not too bad and the different flight modes eliminate the worry of flying the drone so you can concentrate on taking videos and photographs. 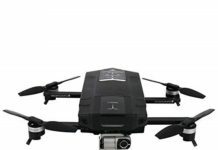 The Autel Robotics X-Star Premium is surely an affordable drone that comes with many features and excellent performance as only other more expensive drones can give. When you order yours online, be ready to be swept off your feet when your package arrives in the mail. Here is a drone that meets all expectations from the color, performance and tech features. You can buy it with confidence knowing that you are going to get the full value for your money.